Staged inspections of new homes by independent building consultants are an important part of the house building process. Once you're tied to a home mortgage you don't want any sudden nasty surprises due to substandard building materials and practices or failure to comply with house building codes and regulations. When building a house or a home unit it is vital that the building construction process is monitored from start to finish by an independent home inspection consultant. Before buying a new home it is advisable to have a comprehensive building inspection performed to ensure that you're not buying a lemon! Homecheck Services provides a total quality control program for new homes, at every major stage the house is inspected for quality of construction and building materials as well as compliance with building regulations and codes. With over 40 years experience Dennis Allison is an expert on home building codes, materials and all facets of building new homes. This stage includes inspection of foundations and the slab, reinforcement, drains, formwork and termite protection (if specified). The house siting, boundaries and setbacks are checked to ensure that they comply with building codes and regulations. 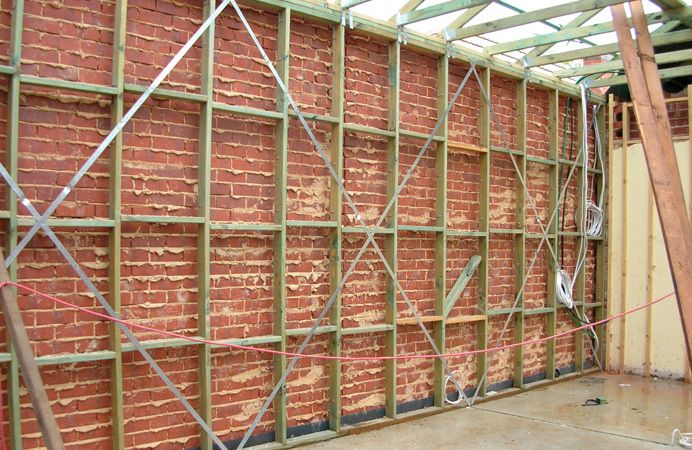 The building frame is inspected for level and straightness, the house specifications e.g. ceiling heights, room dimensions and roof lines are checked for compliance with the house plans. At this stage of building a house the inspection covers brickwork and mortar, joint spacing, windows and flashing, roof covering, window and door frames, plumbing, electrical and second fix timber. This is the point where you take possession of your new home, a thorough inspection of all paintwork and tiling, bathroom sealing, cornice lines, door and window installations, screens and fittings, cupboards and bench tops. The final home inspection also includes checking that the house and site have been cleaned before the building handover. Homecheck Services staged inspections comply with Australian Standard AS 4349.1 for new homes and the building inspections are completely independent of the house builder, we are working for you only. Do yourself a favour, spend your time and money enjoying and improving your new home rather than on expensive and unnecessary home repairs due to shoddy building construction or arguing with the Council about house and building codes and regulations. Contact Homecheck Services for a free first consultation before building construction begins on your new home. Even if you're already building a house it's not to late to call in a licensed, qualified, independent home inspection consultant.